A Decompiler is a programming tool that accepts an executable program as input then converts it into a high-level language code that can be easily understood by software programmers. For the case of Java language, a Decompiler will convert a .class file into a readable java source file. A Decompiler can come in handy in case you are unable to trace your source code. You will simply decompile the program that you had created and get back your Java codes. So, which Decompiler should you use? Here are the best Java Decompilers that you can use. Java Decompiler project was majorly developed for decompiling Java 5 bytecode and other versions that came later. The decompiler can be used on three major operating systems which are Windows, Mac, and Linux. One reason for its massive popularity among Java developers is due to the fact that it can be easily integrated with commonly-used IDEs such as IntelliJ and Eclipse. JD Project uses JD- GUI. This is an easy-to-use and interactive graphical interface. The decompiler displays the source code during the debugging process. Cavaj is a free Java decompiler that you can use to convert bytecode, ZIP and JAR files into Java source code. It can also come in handy when you want to decompile Java applets. Cavaj is specially developed for Windows operating system. This means that it may not favor you if you are using Mac or Linux. Cavaj has an interactive user-interface which gives you access to all the control features. You don’t have to download Java. The decompiler is also developed to produce accurate Java codes. It does not have bugs or any other issue that can compromise with its levels of accuracy. Procyon is among the most popular open source Java decompiler. One of its unique features is the capability to deal with Java 8. It can easily handle new features that were introduced since Java 5 to the latest version of java. Because of this reason, Procyon can be used as an alternative where other java versions fail. Some of the things that Procyon can deal with include local classes, annotations, Switch statements, Enum declarations, and Lambdas in Java 8. AndroChef is another is another Java decompiler that is only available to Winwos users. You can use it to decompile any java bytecode, even the ones that you think are very complex. Apart from just decompiling .class files, AndroChef can also deal with applets, JAR, DEX and APK files. It has a user-friendly GUI that makes it an easy-to-use Java decompiler. This is another decompiler that was created to deal with modern features of Java programming language. It can decompile new Java features such as lambdas and switch statement. This means that you don’t have to worry if you are using Java 8. The only downside is this decompiler is not an open source program. However, it has a command line tool which is ideal in making the decompiling process faster and efficient. 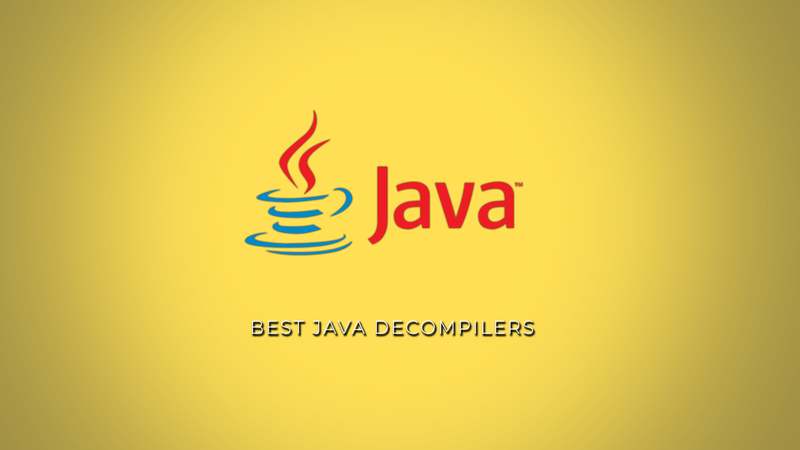 If you are looking for a best Java decompiler, try out any of the above decompilers.